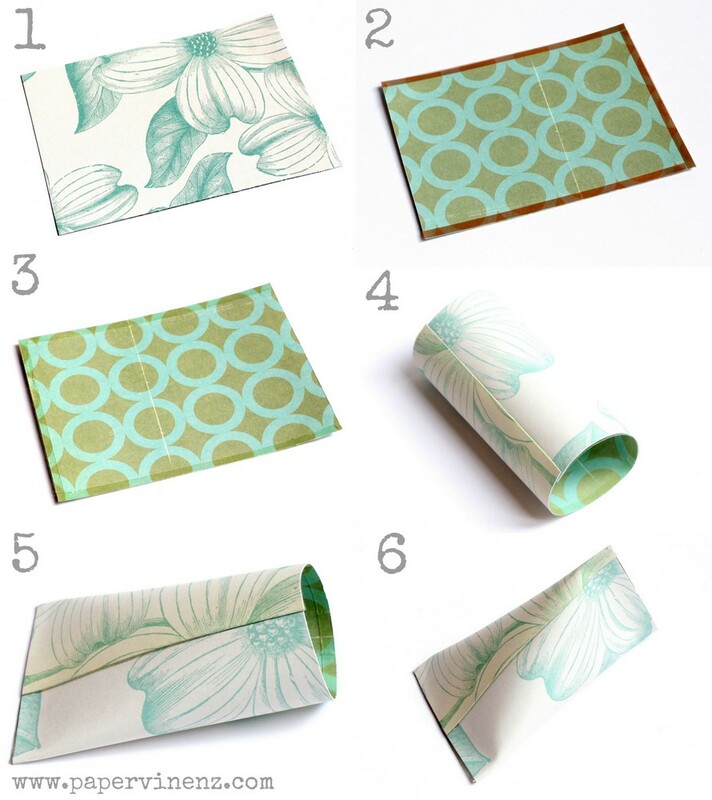 Once you know this technique, you can use them for party favors decoration or wrapping. You can make them any size and below you can see my full tutorial showing how to create them. 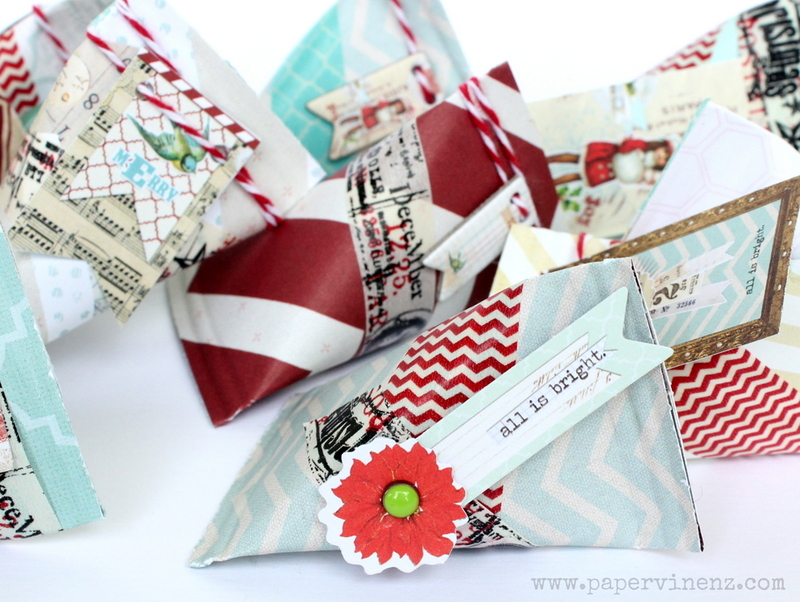 All of the papers and embellishments I have used for this project are from the “All is Bright” Collection from MME. 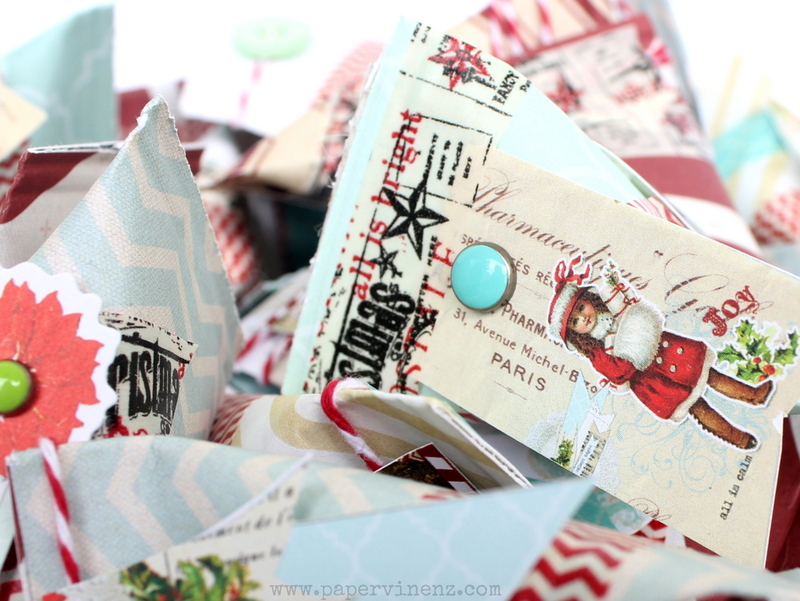 This festive collection is fun, bright and modern with a big twist of vintage! After I created the containers, I just used matching tape, brads and buttons to decorate – but you can use anything you would like. Lets the kids go crazy with glitter, stickers – whatever you have on hand. You can use ANY paper to crate these – and if you have been storing your kids artwork all year – cut it up and make a bowl full of treats for the Grandparents – fill each container with a chocolate and I guarantee Grandma will thrilled! I have also made these as Valentines Date Holders, Wedding Favors and Halloween Treats. It’s a really versatile technique!